We make handmade chicken coops. Our handmade chicken coops are specially designed so that they are practical and easy to clean, making it easy for everyone to keep hens. We offer a nationwide delivery and installation service (contact us for a quote). 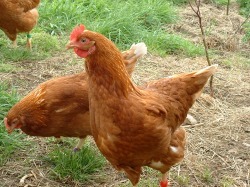 We can also supply you with hens, hen feed and all other accessories to get you started!